The discount gadget brand Medion is bringing you a tablet that can be used for a wide variety of fun activities such as chatting, viewing your favorite photos, and watching videos. 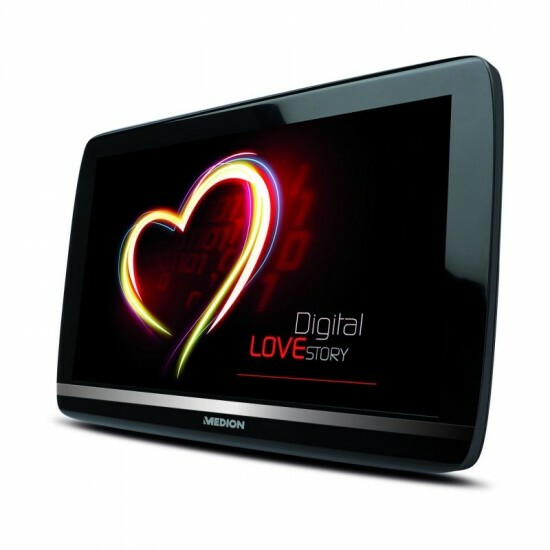 The Medion Life Tab fits in well with Medion’s IFA campaign “Digital Love Story”. The Medion Life Tab will be Medion’s first tablet. It will come in WiFi and a 3G version with touchscreen capabilities at 1280X800 resolution. This tablet will be run the latest version of Android when it comes out in Europe. This Honeycomb tablet is packed with the standard specs such as a dual core Tegra 2 CPU, 32GB Flash storage, a pair of cameras (5MP and 2MP), USB and HDMI, and GPS. In my opinion Its price tag 399 Euros is a little steep for a tablet mainly focused on entertainment. Apps will be available from the Android Market, Ebay, LIFETAB Media Software, and Docs to Go. The Tablet is expected to be be available starting in November or December.